When I joined the BBC as Multi Media Editor back in 1995 about half of my initial role was training BBC producers. I had already been producing multi-media content and lecturing at higher ed level for 6 years prior and was partly employed because of this skill. 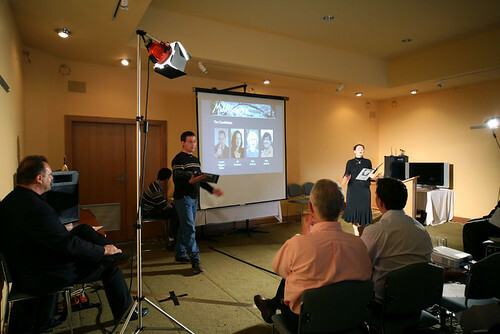 This was a BBC long before any Innovation labs, BBC Worldwide extensions, New Media or imagineering departments and I and a couple of other producers with BBC training would run one to three day ’emerging media’ workshops for teams of BBC producers. Back in the day this included the Senior Management Board, David Attenborough types and later Tim Haines (walking with dinosaurs) and a multitude of other ‘get it made’ top TV exec producers. The sessions back then started from an evangelical point of view but quickly moved later in the workshops into “OK I’m sold, What can we do together now” (as is the nature of executive producer types!). The point about these early intensive workshops was less about specific project outcomes but more about the shift that went on in the minds of the participants. Guided by a range of specialist mentors using projects as test beds, their eyes were opened to the potential of the two way user dialogue, new ways to enhance their content, provide depth, allow users to playfully explore, make the TV more 2-way and interactive, build bridges and continue narratives across onto the web. The seeds were sown and a few years later I and others imported into BBC Training were running week long intensive workshops to more fully conceive user centric productions. It is good to see this continuing apace with a recent Pervasive Media Workshop for the BBC. Also back in the late 90s I even recall a series of early workshops we ran (WebTV – no not the microsoft one!) that was all about moving the story & content from TV to the web and back again in ‘continuing’ the experience way (sounds familiar 🙂 back in 1998 with producers including Radio 4 drama, natural history and community programming. . Lest we forget. But lets forget it just for now. Today, 16 years on and alongside my commercial developments, I am currently the lead lecturer and Multi Platform Production course designer for last two years at Metro Screen and a year prior the Multi Platform Content Course at AFTRS (as well as creating and leading the Creating Experiences foundation course there) – plus up to date, in November I am running as StoryLabs the Screen Australia Digital Ignition Multi Platform Production Clinic. We called this a clinic (making things better!) because the landscape is obviously much more mature than those earlier workshops as we now have 1) almost always-on’ness 2) ubiquitous locative mobile and 3) a converged, any media, distributed web across the larger screens. But the format of this lab is much more about ‘making it happen’ – mentors from around the world with tried and tested case studies will handhold and guide existing projects into a production ready roadmap. This is not a wham-bam-thank you, off you go and good luck, but clear, structured guidance, taking an already well rounded project and fine tuning the transmedia story, the user proposition and the functionality and business plan. It has been a long road to this point and my brief time at AFI DCL labs but more importantly the 5 years running the LAMP initiative has proven itself to a great degree by helping mentors and producers develop into key players in the area. With a view to strengthening and advancing Australian digital storytelling culture and its practitioners, this intensive workshop will focus on the deeper potential of multi-platform storytelling. It aims to assist traditional screen storytellers, digital creators and game developers to go beyond basic narrative extensions such as webisodes, Facebook and twitter updates, or brochure-style websites. Participants will develop a ‘story production bible’ enabling them to take a project across relevant platforms with meaningful and sustained interactions for users. There are many different ways to communicate multi platform and transmedia and in the end you, as someone with great knowledge and experience, have to decide on your purpose, value and goals. DO IT ON THE JOB – work with a live and existing property, help the creative producers learn by doing, failing forward with a live service, audience/user base in tow? SHARE – impart brief, generalistic practical information, so the creative producers can take it away and apply to their own, early concept projects? PERSONAL PROMOTION – present regularly, be seen as an ‘expert’, want to promote yourself, with the goal of getting consultancy jobs later on? MENTOR – consult and/or actually become part of the company, work very closely with the project and its creators, altruistically or for credit? NETWORK – just spread your name about physically and via online networks, create your own throne, become a go to person? EXPLOIT – just make a load of money, any which way but loose? Sell your skills and services to the highest bidder regardless of relevance? By the way, I use the positive word nurturing, because even if self-promotion or wanting to make $$$ seems not very positive or altruistic, it must be said that anyone working in a field who is not self-sustaining or able to be a ‘professional’ may not be the best person to get any kind of advice from? Aside – There is a line though where, as a creative leader, self-promotion becomes a chain around your neck. Over-hyping your abilities or achievements actually becomes counter productive. The dreaded label of ‘expert’ in any field puts a lot of pressure on you to always have answers, not make mistakes and suggest innovative approaches. Those seeking advice are now becoming very wary of anyone who is a self-proclaimed expert and look closely at their productions vs the brands, their testimonials, any practical opinion articles they have online (vs a hard copy book or thesis), ask others about what it is like to work with them! Lecture over. The Seminar – short form, advertised as all you need to know in 3 hour type events are good for general orientation and zero to do with your project – beyond the focus of its topic, which is why the most useful seminars for a multi platform project tend to be targeted on say the ‘user behaviour around a specific platform’ vs more general ‘transmedia – whats it all about’ ones! Good places to find some potential hired help. The Conference – these one or two day, often theme’d/hype’d events are basically broadcast shows. A few now following a formula or brand style. But a series of experts or brands with named speaker subtext (or friends of the organising expert!) are paraded in-front of a paying crowd of hopefuls who scribble and tweet tidbits of information – hoping that some of the knowledge, inspiration and sparkle will rub off on them. Great for finding ideas as many projects you see can often be done, much betterer 🙂 As with networking this is great first point contact and it becomes easier to target those who can help each other, but then again the problem of continuation comes up. Finding a project or mentor requires a series of follow-up meetings and negotiations and chats during the day tend towards introductory or overview vs nurturing. 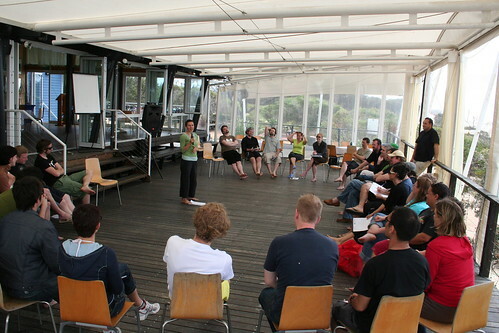 The Workshop/Lab – these vary from short, half-conference style half or one day events to longer format intensives. If the focus is on ‘specific’ projects that have been pre-filtered and selected, the workshop can potentially begin to nurture, if they are general ‘how to make a…” – then much less efficient. That said well structured workshops can reveal a potential consultant in that they have very obvious and strong processes you can adapt your project to. The Master Class – really a glorified workshop, some masterclasses can inspire and turn a mind around to become dedicated. Seeing case studies presented from someone is extremely useful, but masterclasses tend towards one perspective, one type of production and one process and still the problem remains as the participants own ‘projects’ needing some sit down, hands on, private nurturing, is still there. The Public Pitch Events – we have seen a lot of these spring up in recent years. A sort of X-Factor for multi platform, 360 productions, a cash prize for the best idea, loosely discussed by another expert panel of judges. The prizes themselves tend to be ‘tokenism’ vs actual practical, useful size funding and the comments from the expert panel aimed more at a live audience than actually giving real useful advice to move a project forward. So these may fall into the networking category as often a brand sponsor is in tow who then is sometimes hard to pin down to deliver the promised, follow-up connection! The Academic Course – quality varies as with any course but good practical courses that incorporate industry practise and exercises, lectured by those in industry will directly help the student creator and also provide more satisfaction for the trainer/mentor. The advantage of any longer term engagement with mentors is that a project can go through a series of developmental processes and certainly have more considered advice given. But this all depends on the type of people running the course. Are they from an academic background pulling in a series of industry experts, or are they a rather poor communicator from industry, who has a lot of knowledge and experience, but does not know how best to impart and nurture your work? Again one must go on recommendation and outcomes of courses but also beware that a ‘personal’ project may not get the expected level of attention as there are many ‘educational’ tick boxes to check as well, plus other students may drag a class. Also beware on conflicting advice – too often practical courses with many visiting experts can result in the cancellation effect – as one expert says do this, another says do that instead, the project can suffer. The Consultancy – the holy grail of nurturing. The hired nanny. Finding an expert who can temporarily sit with the project, handhold it, nurture it, help it walk, feed it and push it into the world with you…for a fee. This is where the danger lies for all parties. Finding appropriate consultants and experts who are in it for a lot more than the money is always an issue. The life of the independent consultant is often a tension between their own ‘earth shattering’ ideas that they want to progress and helping out on others work. Their experience and ability to communicate too may vary, the most important characteristic being empathy and understanding your real strategic needs. Do they have experience in projects that truly engaged socially, that is more than just turning the production handle using existing tech, are they passionate about your ‘story’ space, can they prove that passion? Most importantly with a consultant is are they really providing the bridging role you need? Most projects that need nurturing are often fine in some areas but need help spreading into design or technical or user experience or business planning. Finding a match is often hard and much like the ‘hired nanny’, it is often a real issue finding a personality and caring soul who will deliver what the project needs. So in my usual all too brief, as I realise I have been typing for over an hour, endings I will try to summarise. 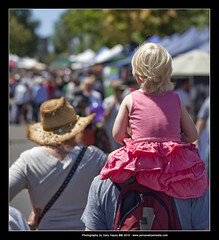 Early stage Multi Platform or transmedia story projects are fragile things requiring skilful nurturing. They are multiple children at once – a complex, everywhere-at-the-same time early teenager that needs to be managed, a 2 year old still developing, stumbling needing help in finding their voice and a late teenager trying to connect and be part of the social system around them needing a friend to guide them. The nurturing required is as personalized as the project’s creators and the mentor/s needed. Any project serious about growing and becoming something special (vs a clone of that gone before) needs to find its muse. The events listed above (I am sure there are more to add – later) I hope imply that you ‘filter & find’ in the networking, public pitch, conference, seminar events, trial run in the workshop, masterclass, course and select your ideal nurturer for the intensive or consultancy stages. It’s not rocket science sure but far too many projects fail because its creators either skip most of those stages by thinking they can do it all or some of it by themselves or they attach too early to the wrong consultants or courses leading to stalled or failed productions. Multi Platform and Transmedia Storytelling is still very early days and it is to the advantage of all projects that finding someone who is both experienced in creating AND has a deep knowledge of everything out there will make them stand-up, and more importantly stand-out. Interesting, thanks for the tips on how to nurture multi platform transmedia projects..
Great discussion about greatly inspiring topics. A very nice read. Keep it up. Very excellent report! 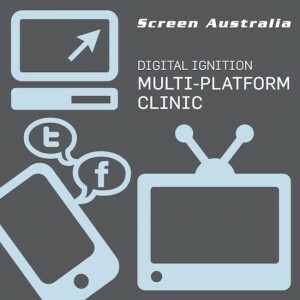 With this report I came to know the teaching methods of multi platform transmedia. In growing industry multimedia platform is very useful and with the help of multimedia teaching has become very interesting. The elaborative post provides detailed information about multi platform transmedia. As I read this my knoweldge about multi platform transmedia technology got upgraded. I could not get enough information from other websites. Thanks for the detailed explanation! It is quite a lengthy read but a really good one. Could you make a short summary to this one?